Respir-All – Formerly known as Allergy Support Spring can be an exhilarating time of the year – if you don t suffer from seasonal allergies, that is. 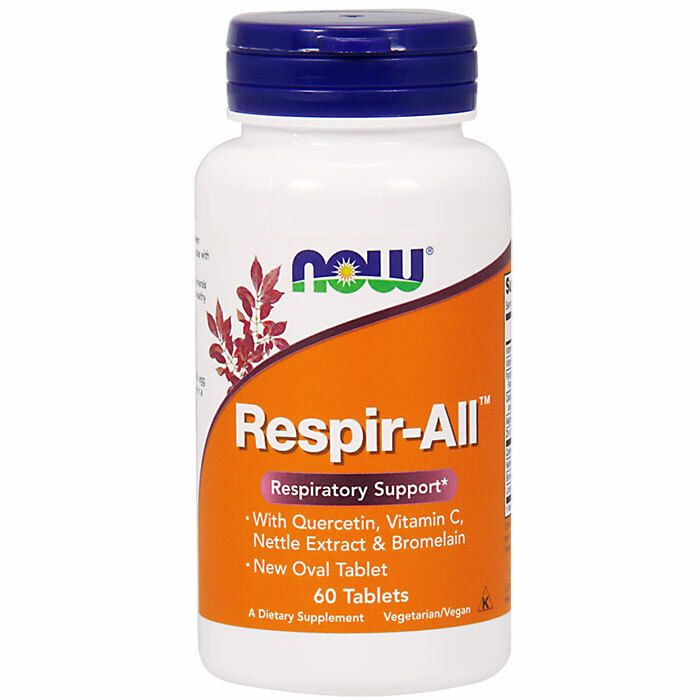 Respir-All – this well-balanced blend of vitamins, minerals and herbs provides seasonal allergy sufferers with a natural source of nutrients known especially for their ability to normalize our body s histamine response, to moderate or immune system s inflammatory response and to support our body s healthy overall immune function. As a safe and natural alternative to many over the counter formulas, NOW Respir-All Caps offer sound protection that can help you breathe easier all year round! This entry was posted on Tuesday, February 21st, 2006 at 1:08 am and is filed under Allergy Relief. You can follow any responses to this entry through the RSS 2.0 feed. You can leave a response, or trackback from your own site.